The PCB was milled on a Roland Modela MDX-20. 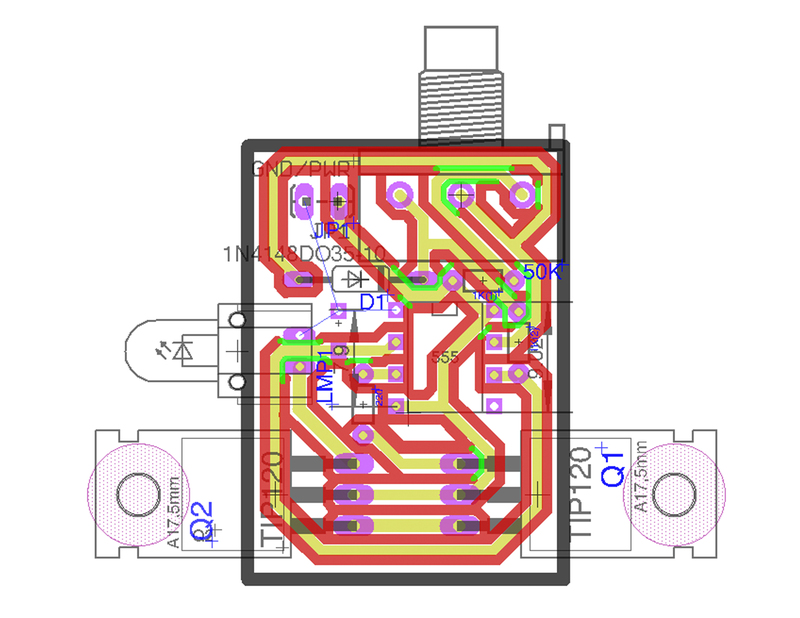 All the circuits were designed in Eagle CAD. In “Interactive Pill” an ultrasonic distance range sensor controls four solenoids to attract the magnet inside the pill. This is just one of the many projects that you can make using this shield for Arduino. I also prototyped the PWM dimmer that I learned in Basic Analog Circuits with Eric Rosenthal, as a plug-in-circuit, that can add analog programmability to the shield. Here is the original breadboard with one dimmer plugged to it.